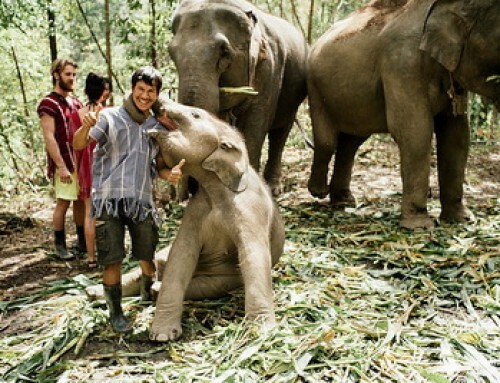 Would you like to meet and befriend members of a local tribe, as well as their elephants, which have recently been rescued from riding and logging camps? 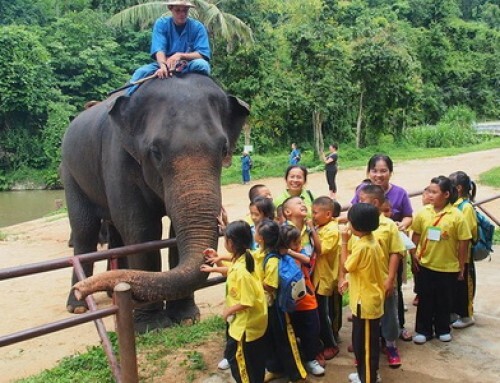 Overview : Elephant Jungle Paradise Park offers visitors the chance to support an ethical, cruelty-free organisation while interacting with these amazing animals in their natural habitat. 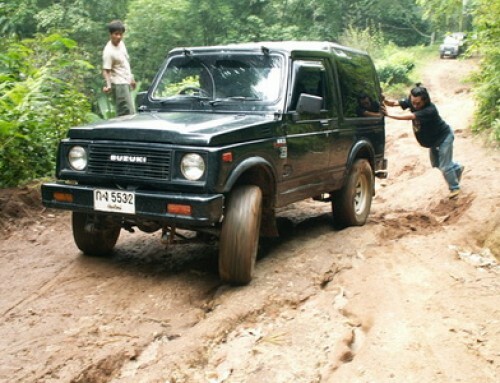 Trek through the jungle to find small groups of gentle elephants as they roam free in their beautiful surroundings. 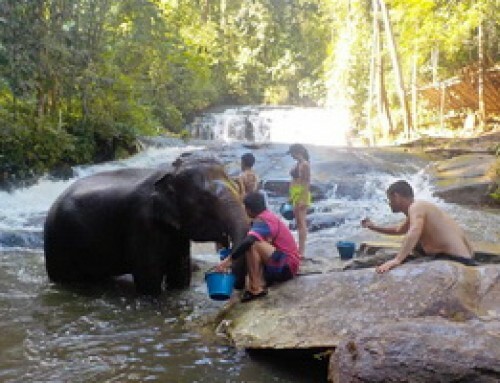 The full day tour option offers you the intimate experiences of feeding and bathing elephants, as well as assisting in the creation of organic herbal medicine to improve their health. 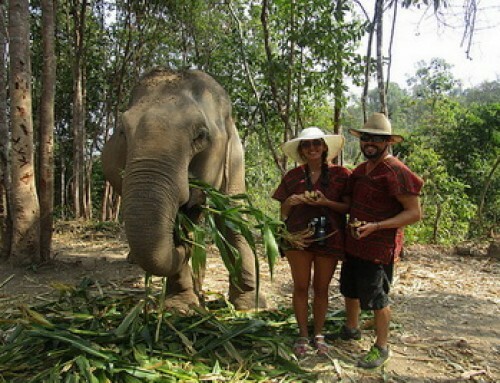 Our professional tour guides encourage you to learn the history, habits, and language of the elephants, and interact with them in a personal and loving way. 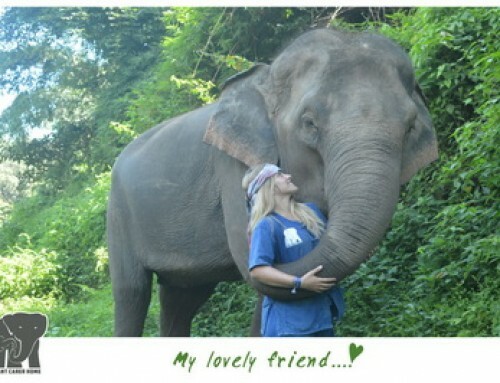 Lucky guests may even experience an elephant returning their affection in the form of a hug or kiss with their trunk! 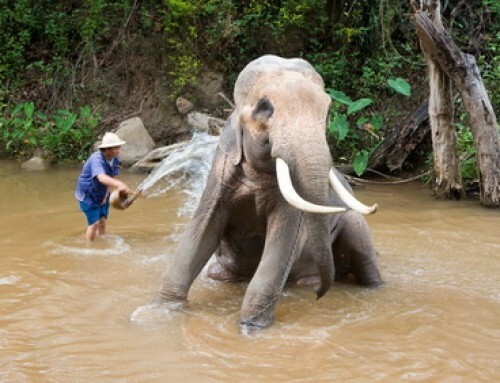 Help apply a muddy elephant cosmetic treatment, and join them for a swim in a river fed by an idyllic waterfall to finish off a magical day spent in an untouched natural environment. 8:00 – 8:30 Pick up from your hotel or accommodation.